Gellerman Orthodontics, located in Huntington, NY, offers innovative ways to reduce the time it takes to enjoy a straighter smile. PROPEL Orthodontics is one of the most exciting services we provide because its state-of-the-art design speeds the tooth realignment process! As a result, patients can enjoy results in less than one year. Give us a call today to learn more and schedule your complimentary consultation. Orthodontic acceleration is a fascinating development in this field because patients can get straight teeth fast. In the past, traditional thinking was that crooked teeth always required years in braces — times have changed. Dental technology has made the teeth realignment process far more efficient, meaning even more patients can enjoy the benefits of an amazing smile! PROPEL is an innovative approach to orthodontics, taking your mouth into account as a whole by stimulating the bone that surrounds your teeth. This helps to direct your teeth into the right position, and it gives the orthodontist greater control over where the teeth will move. The end result – a straighter smile in less time and with fewer in-office visits. Additionally, this is a process that requires no invasive surgeries, meaning no recovery time and very little discomfort. PROPEL is an ideal option for most orthodontic patients. In fact, roughly 80 percent of patients can benefit from faster braces made possible with PROPEL. For patients already seeking orthodontic treatment, PROPEL can be used simultaneously with TADs, clear aligners, clear braces and conventional metal braces. The team at Gellerman Orthodontics is passionate about improving smiles, and we have the training and expertise to do it right the first time. Our focus on results is unmatched. Patients trust the Gellerman team when it comes to cosmetic dentistry — and for good reason. Our staff stays ahead of orthodontic trends with a constant eye on any developments that can improve the wide range of services we provide. We also take care to keep all patients comfortable during their visits. From the moment you are greeted by our friendly waiting room staff, you are in good hands. We prioritize treatments that limit pain and discomfort, and we go the extra mile to ensure that you get the results you expect. Contact our office today to learn more about PROPEL Orthodontics and to find out whether it is the right treatment for you. 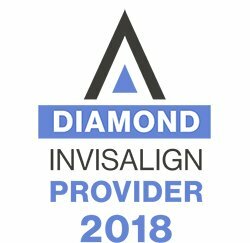 See our complete list of orthodontic services, including treatments for TMJ-TMD, sleep apnea and general teeth realignment.